Performance Meals are prepared using the best ingredients - ingredients that give fantastic flavours naturally - so we don't need to add extra salt, sugar, or fat. 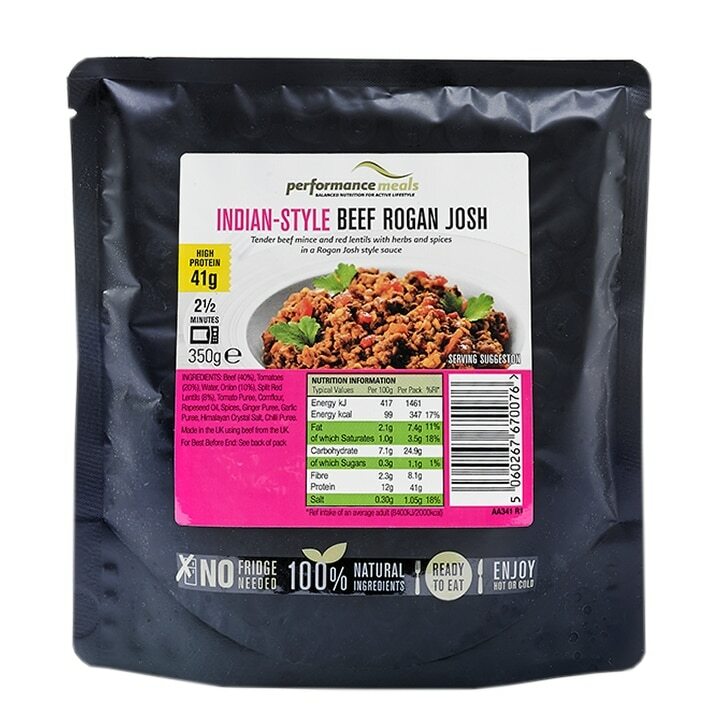 The unique Performance Meals air and watertight sealed pouches ensures the ingredients are kept fresh and keeps the all-important nutrients locked in during cooking. Performance Meals have a long shelf life and have no special storage requirements! Beef (40%), Tomatoes (20%), Water, Onion (10%), Split Red Lentils (8%), Tomato Puree, Cornflour, Rapeseed Oil, Spices, Ginger Puree, Garlic Puree, Himalayan Crystal Salt, Chilli Pure.